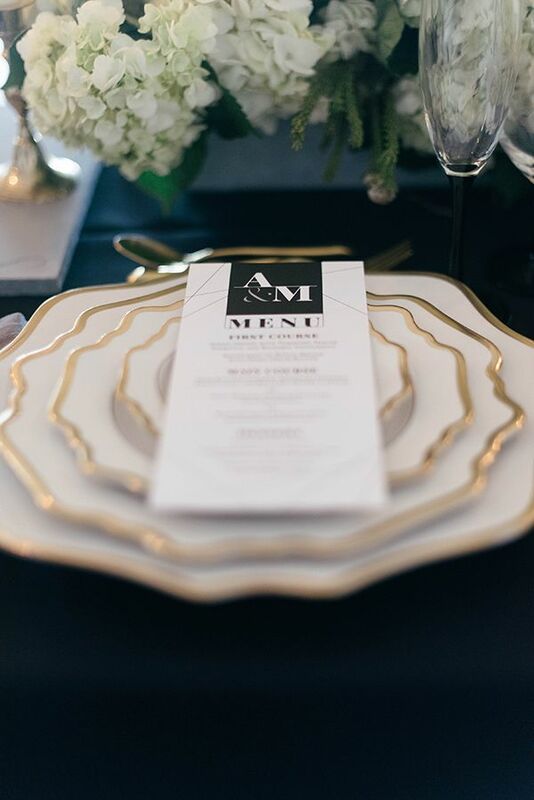 A contemporary venue with contemporary styling mixed with elegant elements. 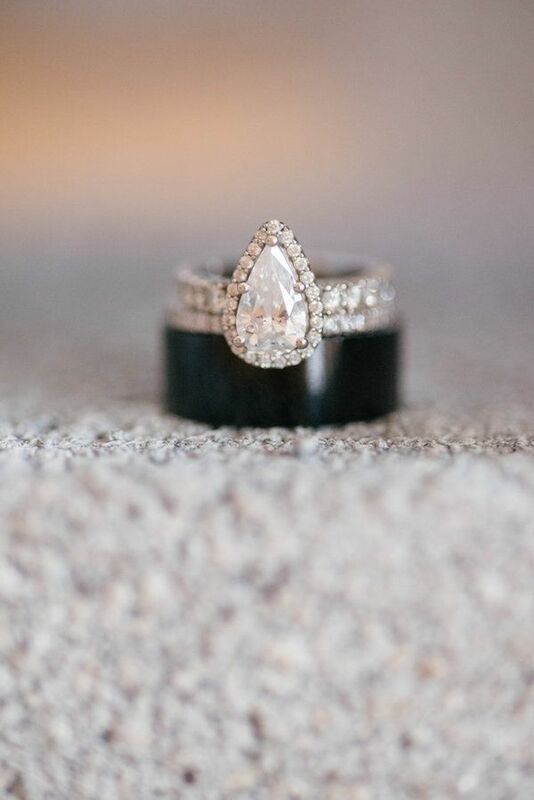 This looker is what we're sharing on the first day of December and what a head-turner it is! 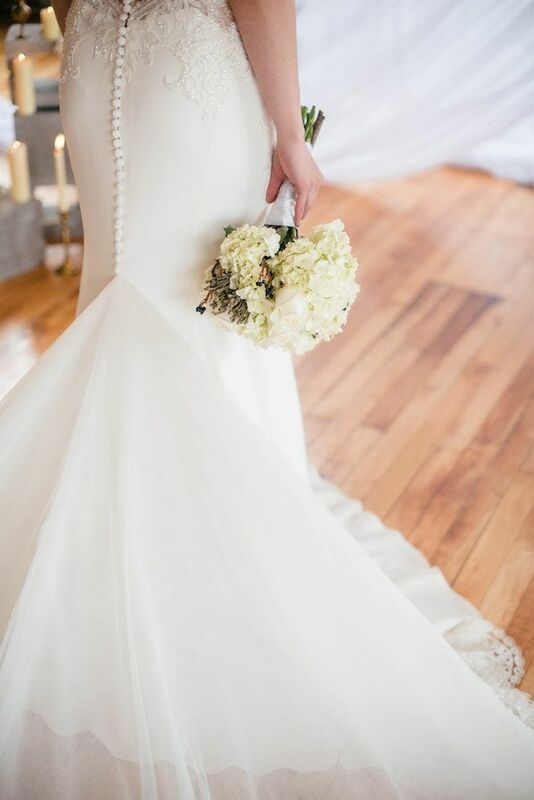 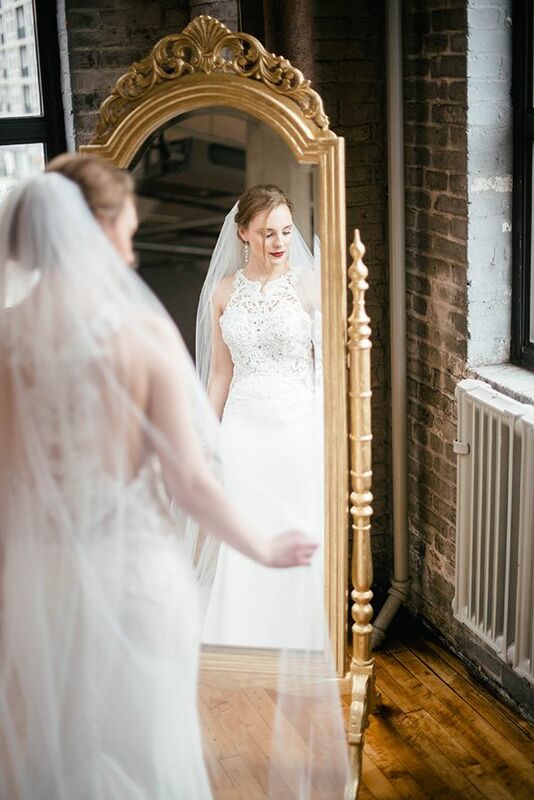 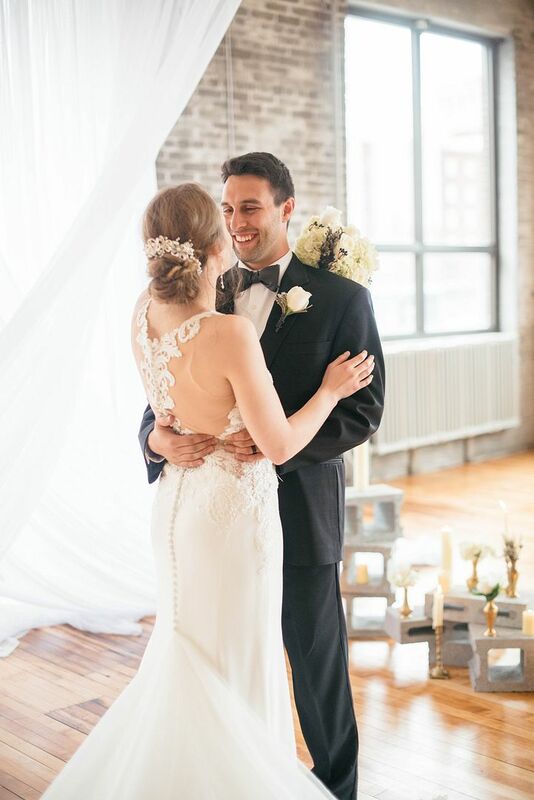 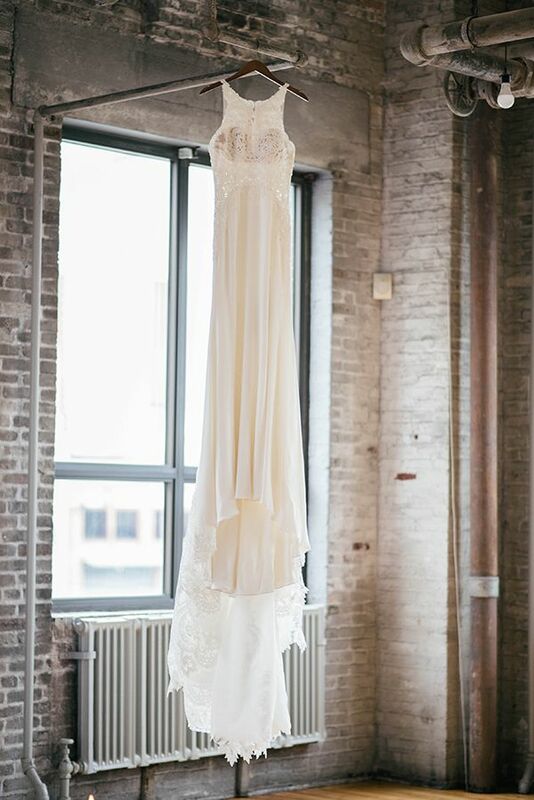 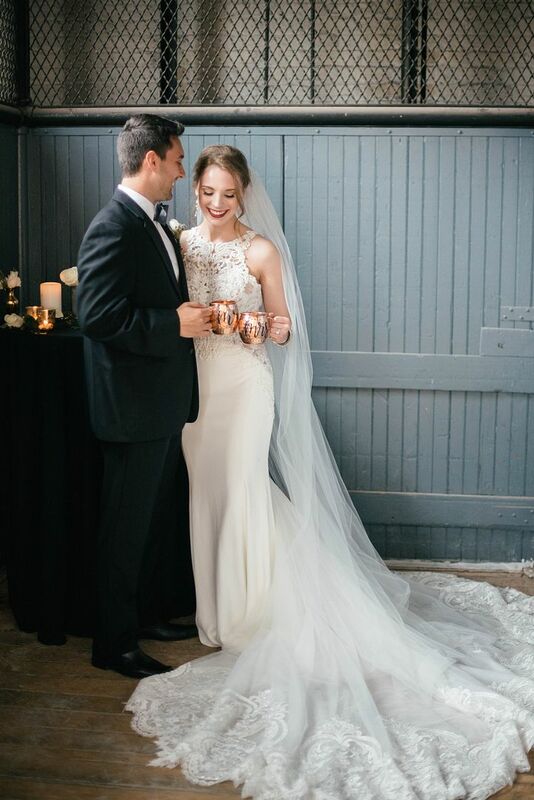 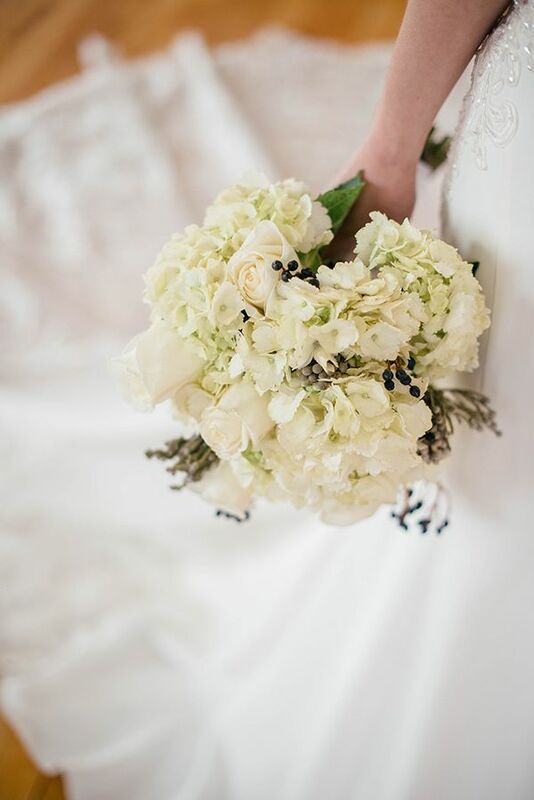 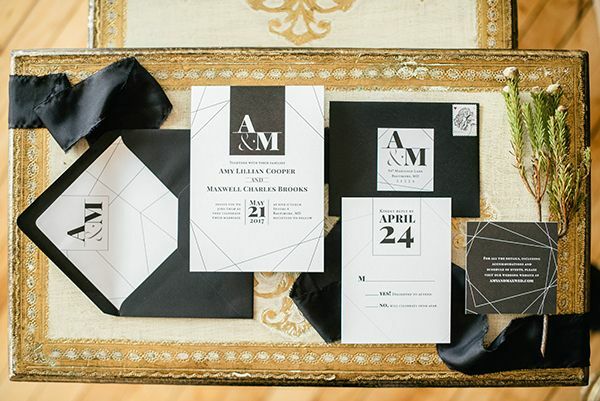 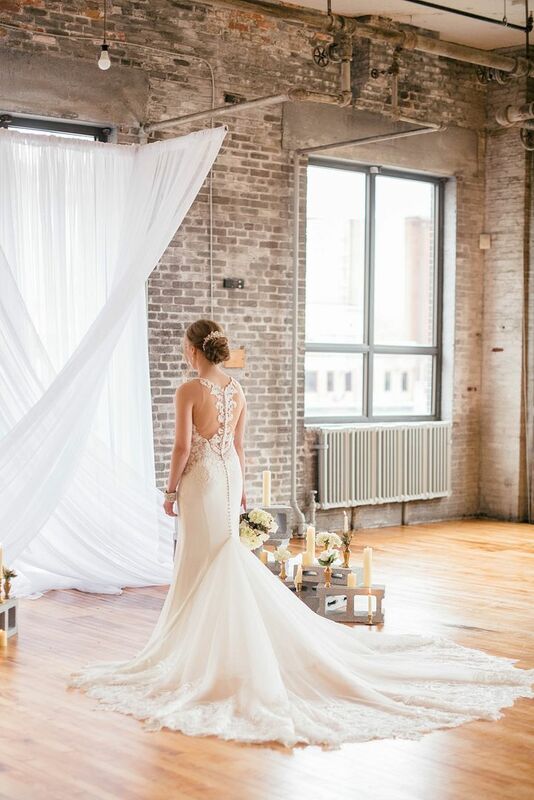 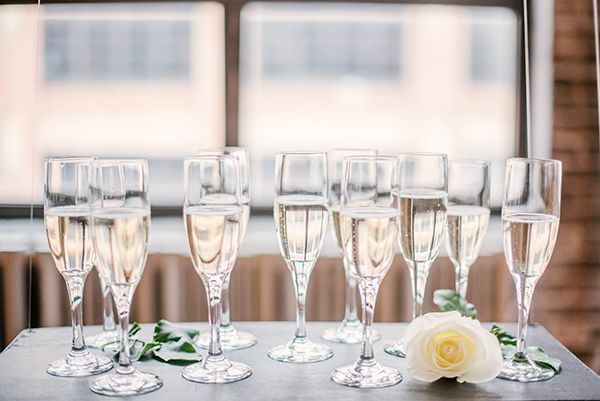 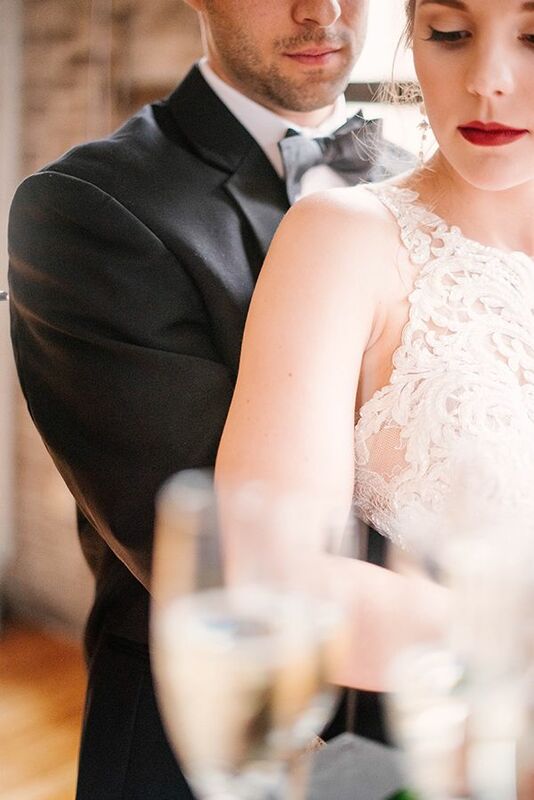 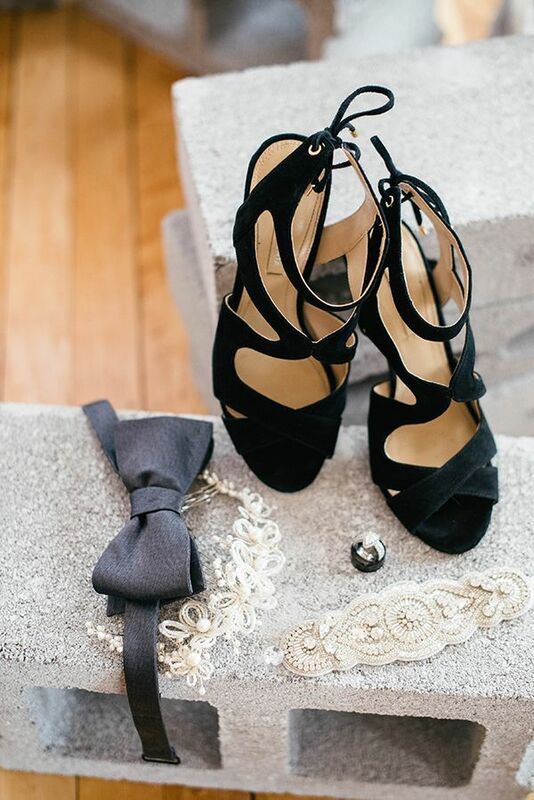 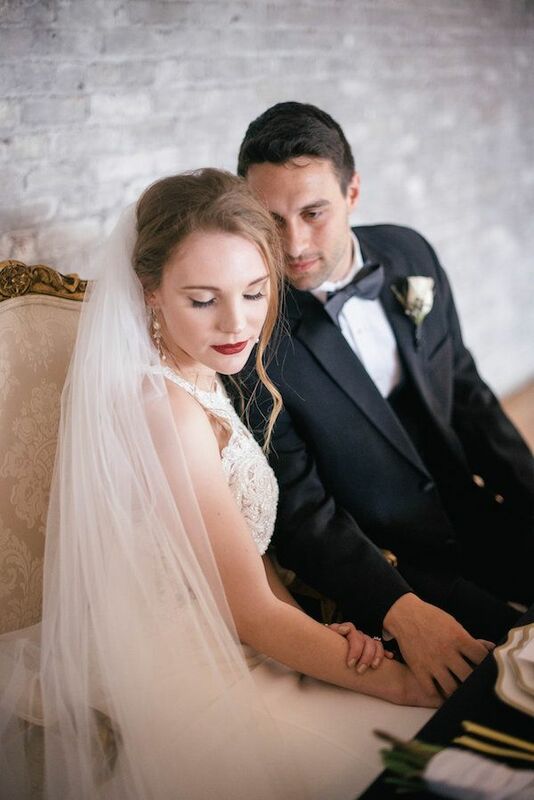 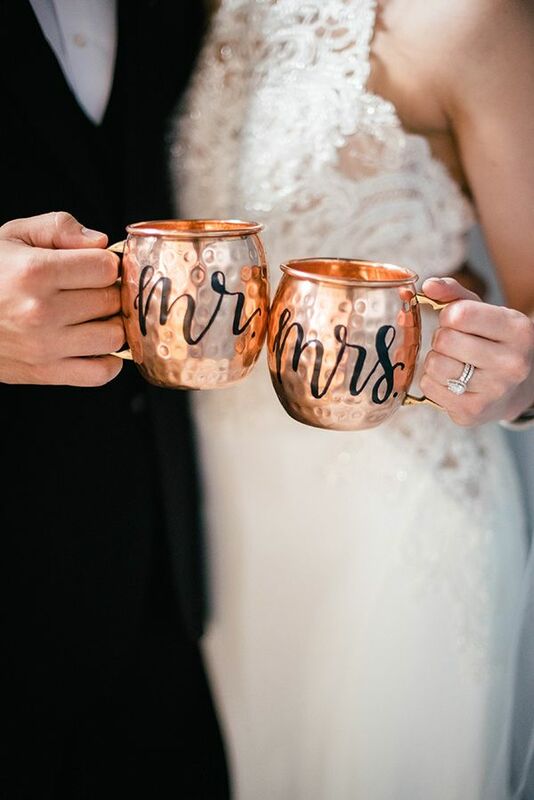 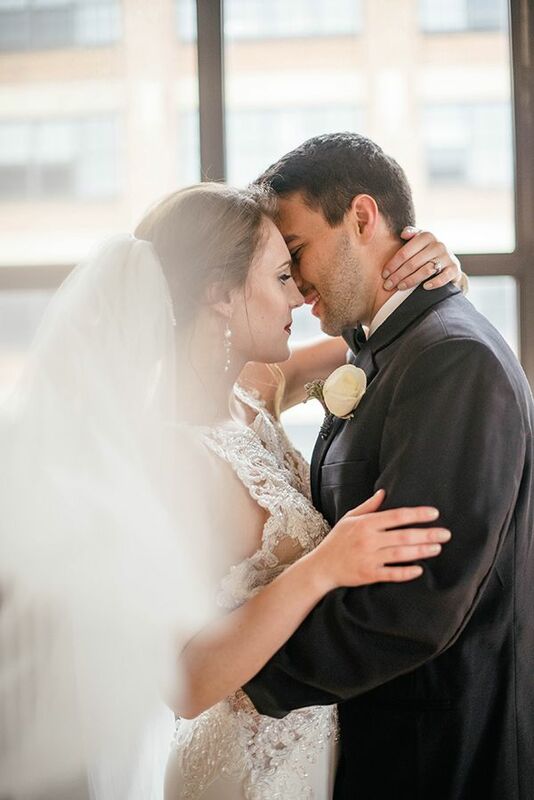 Before gazing at the beautiful photos from Anne Casey Photography, we read shoot designer and planner Macy from Enchanting Events and Design's rundown of the day. 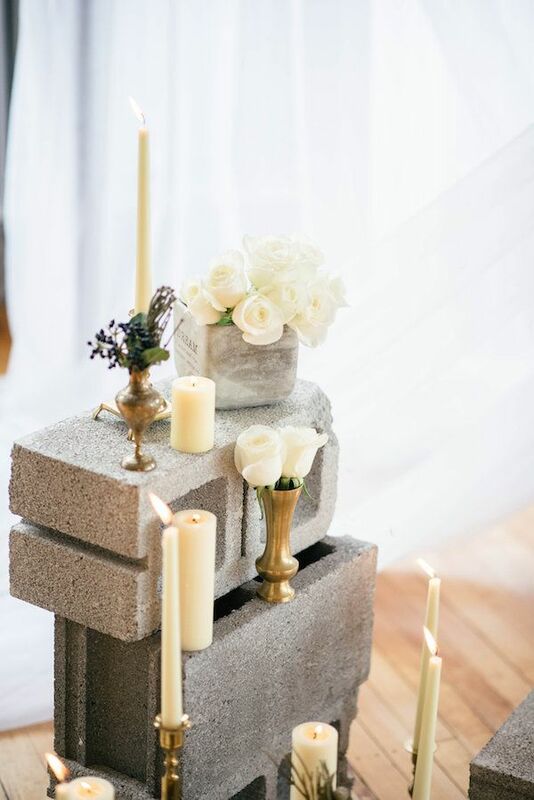 She let us in on the usage of concrete (you read that right!) 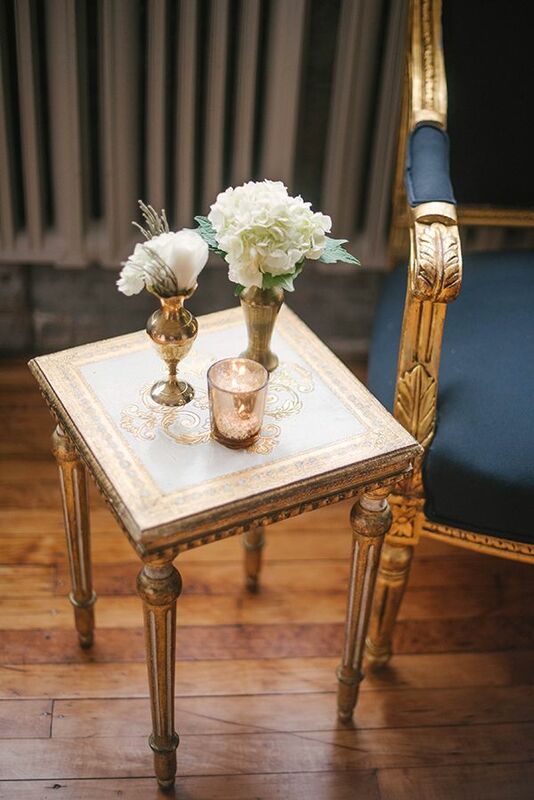 and for sure, it definitely added a fun component to the overall opulent look of the shoot. 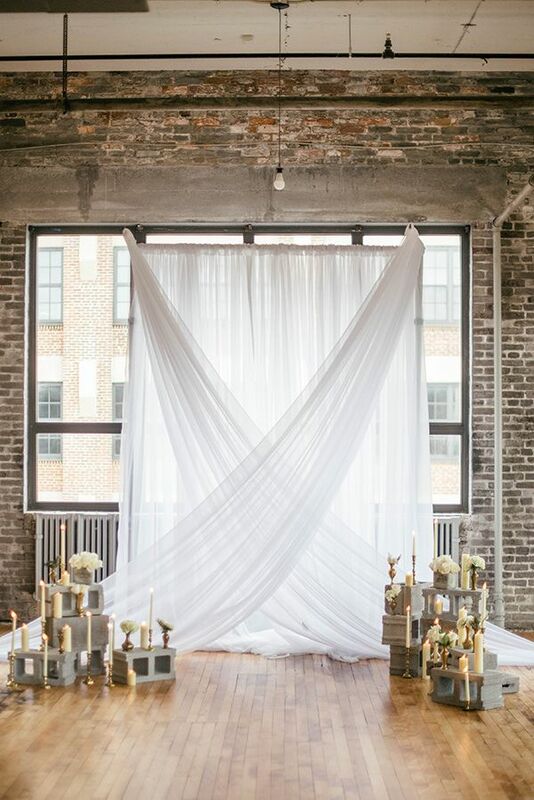 From a ceiling-suspended wedding cake to the timeless florals from Travis Floral Design, we think this inspo is a great way to herald in this festive month! 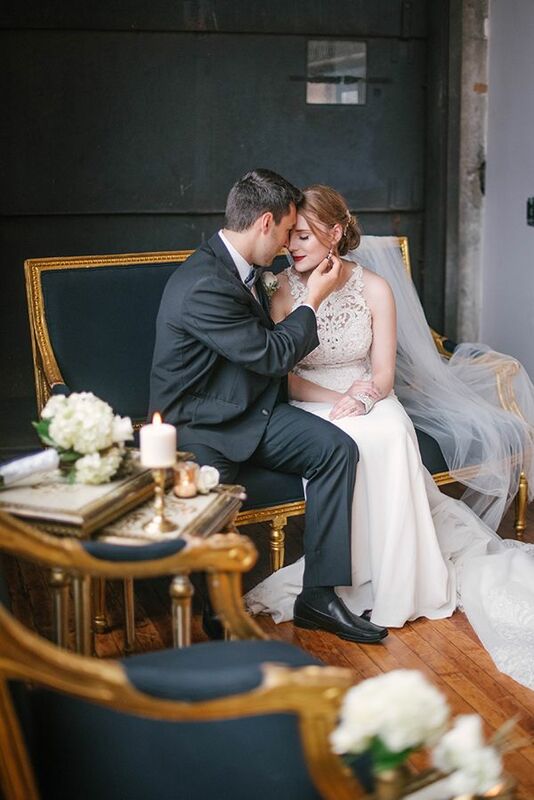 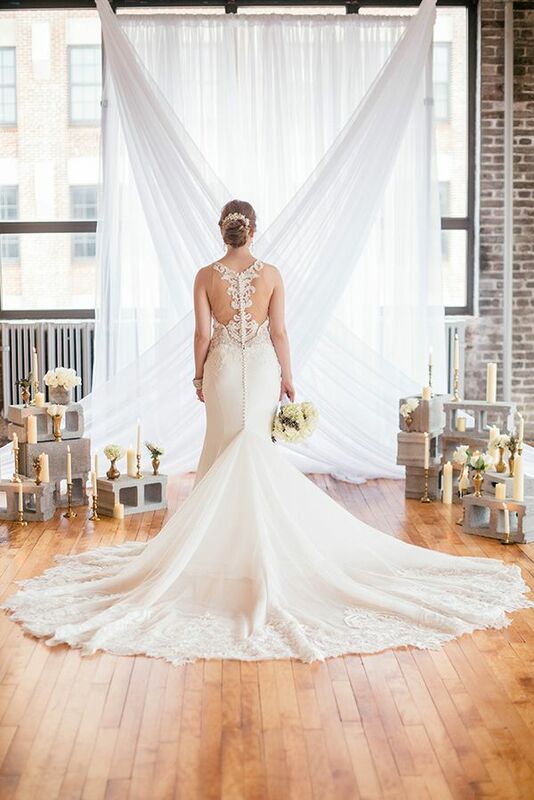 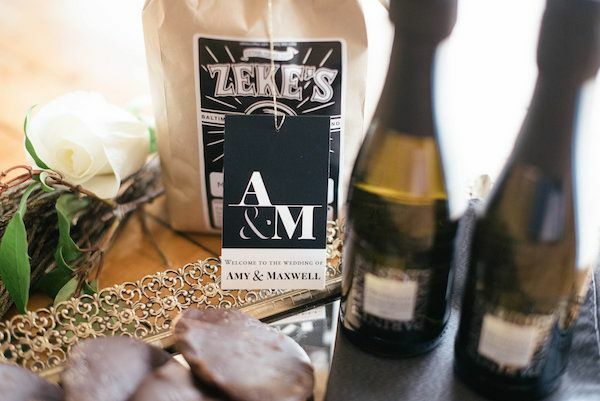 From the planner and designer, "The inspiration for this shoot came from a mix of the popular industrial-inspired weddings popping up recently, and a need to bring something different into the mix." 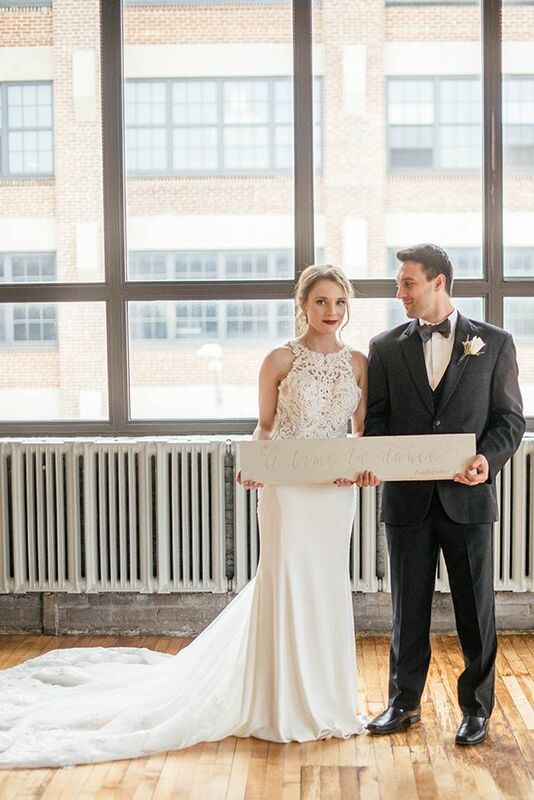 "Enter a concrete artisan/calligrapher, the idea to bring cement blocks into a ceremony space and the open floor plan of a beautiful new downtown Baltimore venue." 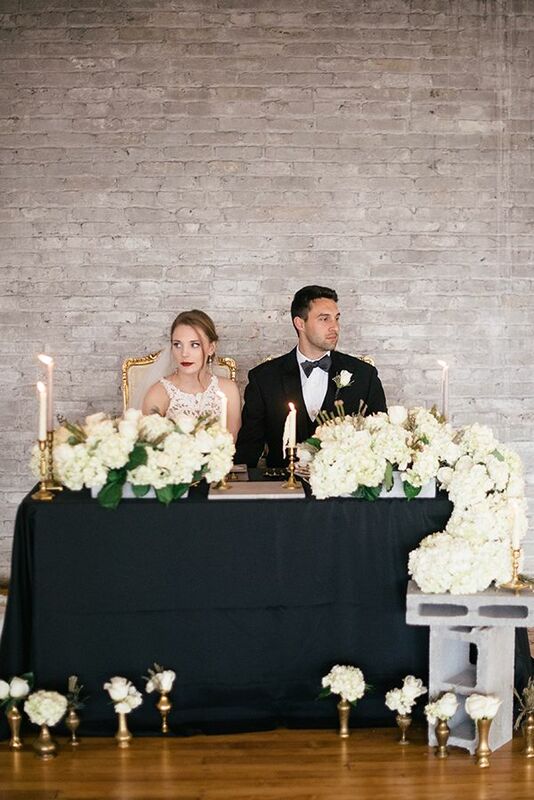 Studio 4 proved to be the loveliest locale to bring these modern wedding ideas to life. 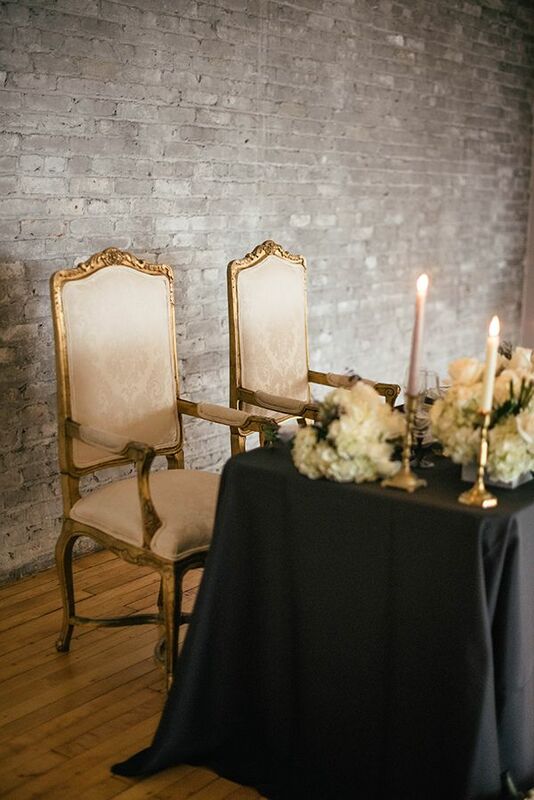 Rentals from Party Plus and White Glove Rentals absolutely helped set the scene on this day, while stationery from Lattice Tree Studio set the tone. 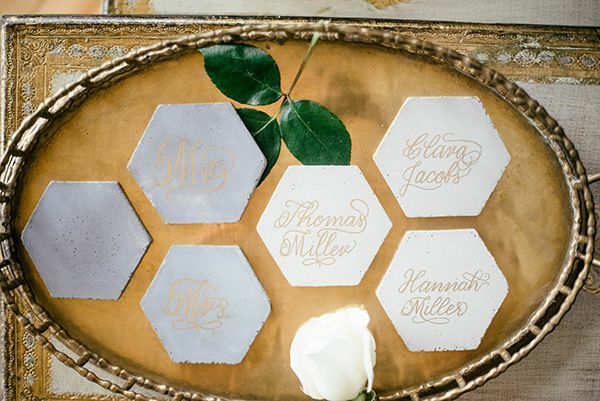 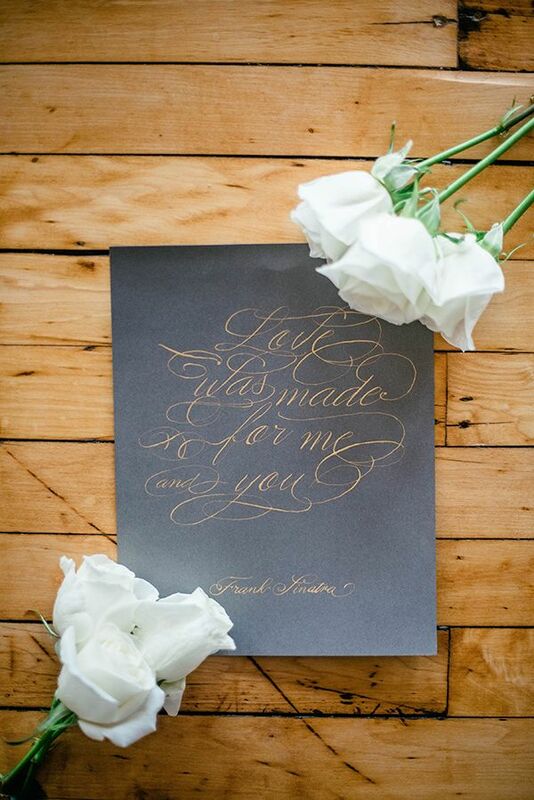 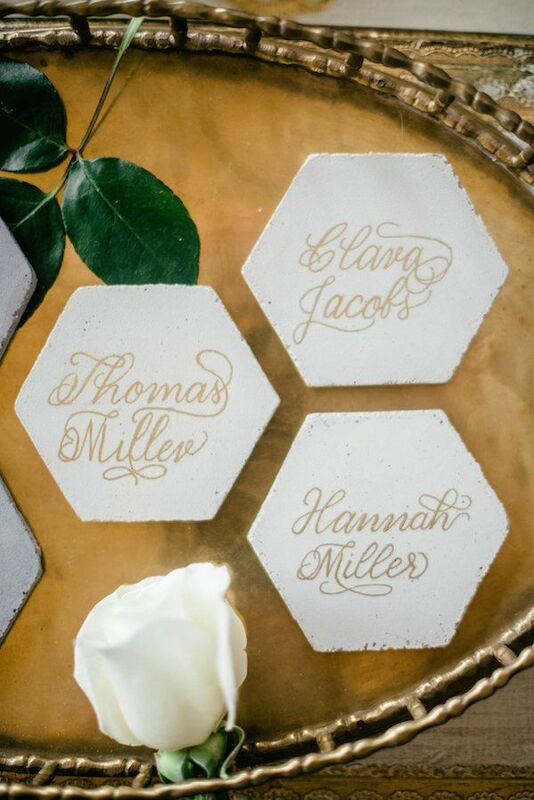 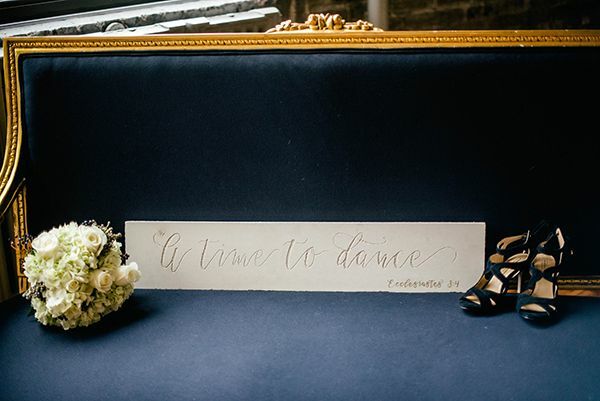 Calligraphy from Jess Smith Designs added a touch of vintage flair and romance. 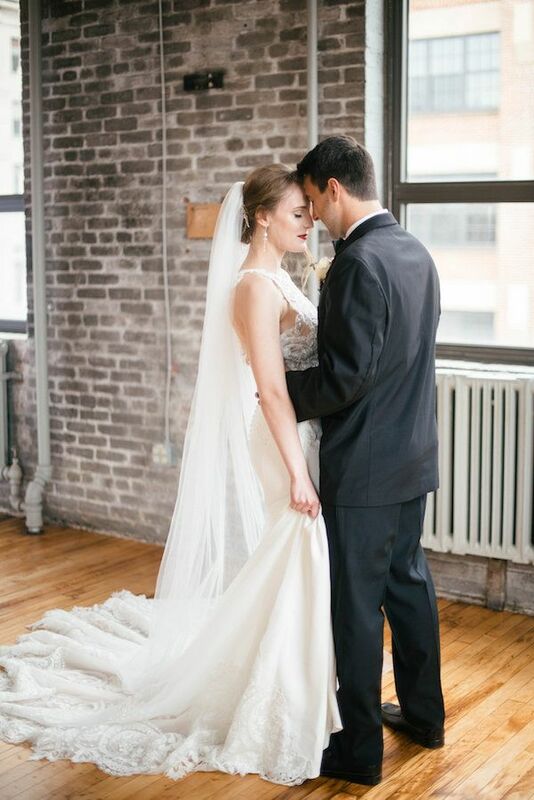 And we can't go without mentioning our love for the hair and makeup from Vintage Veils. 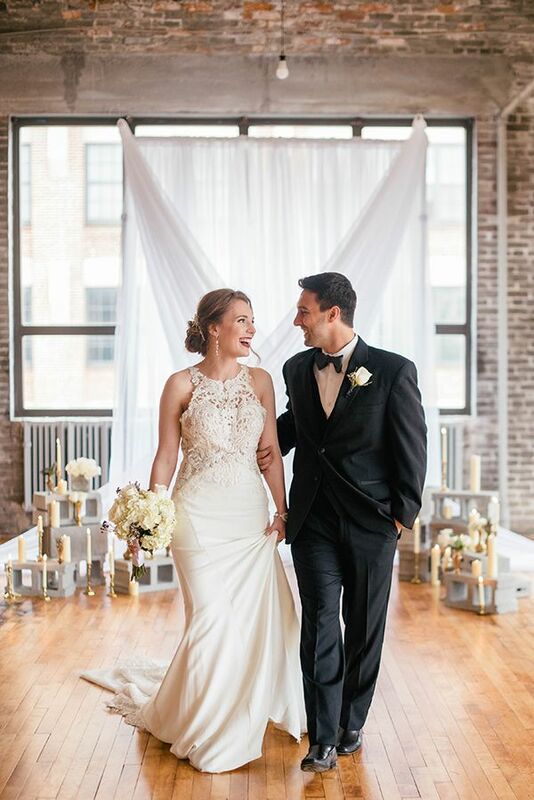 "We wanted to bring various elements of a glamorous wedding and turn it on it's side...or better yet, hang it from the ceiling!" 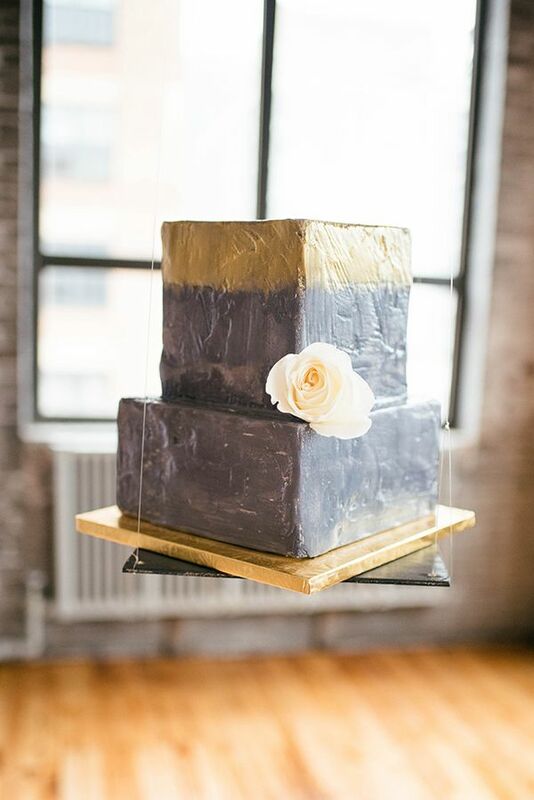 "With a cake suspended from the rafters, champagne in various layers for guests to sip on while the music played." 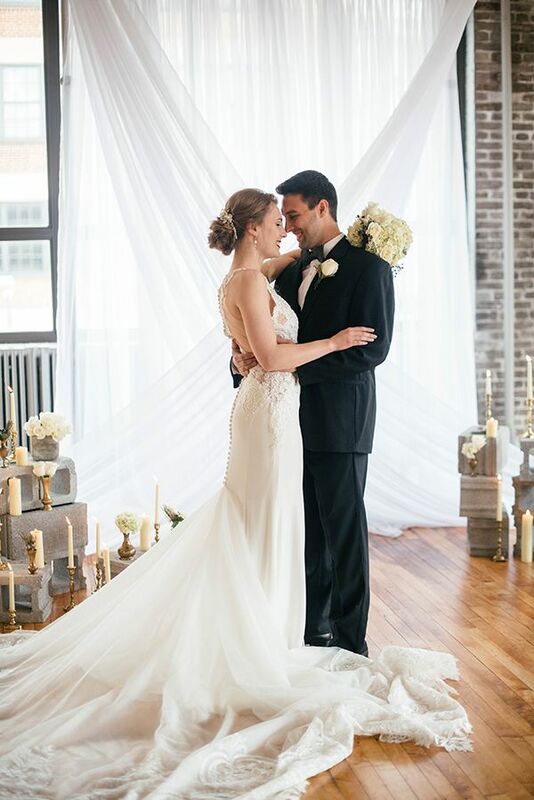 "The show stopping bride and groom were the icing on the cake to the multiple aspects of this stunning location." 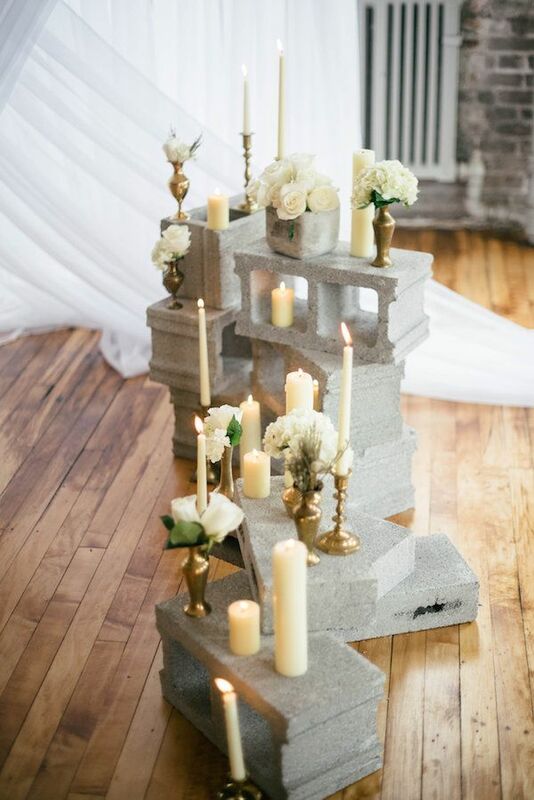 "We think concrete bricks brought new life to the industrial and modern wedding and venue perfectly." 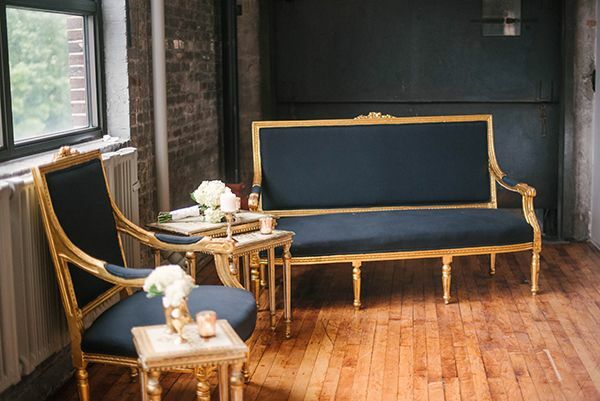 No Comment to " Industrial Wedding Inspiration with a Big Dash of Glam "